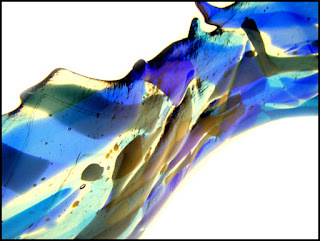 Fused glass and stained glass workshops in Glasgow. Turquoise and blue fused glass wave. Weekend classes and evening classes. 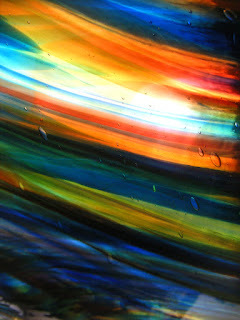 Weekends are 1 day fusing and 2 day stained glass.(10-4pm). Evening courses run for 6 evenings.(6.30-9pm). Cost is £150, all glass,tools and equipment are supplied. Next weekend classes are 23th & 24th February. For more details please visit the main website at RDW Glass.